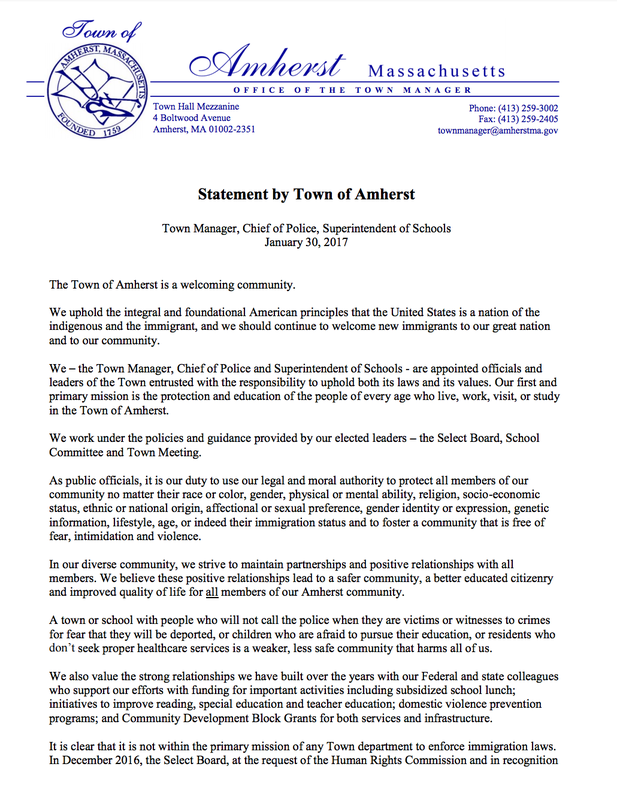 "The Amherst Police Department shall not inquire about the immigration status of any crime victim, witness, or suspect unless such information is directly relevant to the investigation. Our preK-12 schools will continue to enroll and serve every child living in our district who chooses to attend our schools without regard to her or his immigration status. 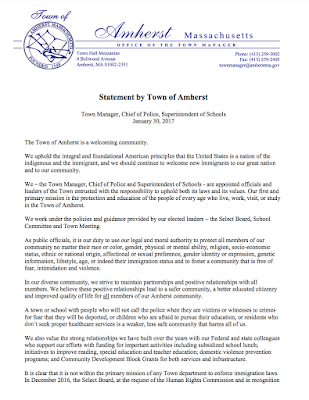 The Town of Amherst is a welcoming community." 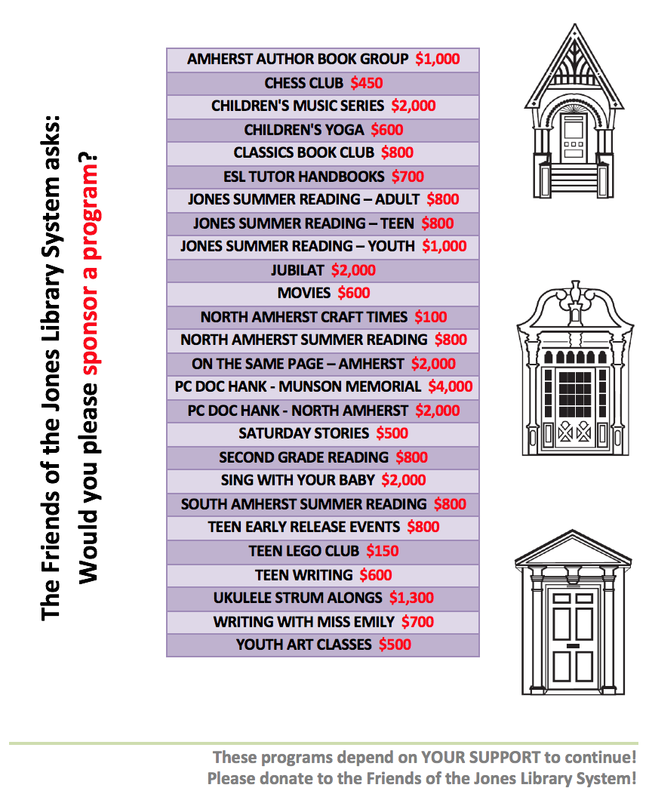 And the libraries? Hey, the libraries are there for all of us. Always. 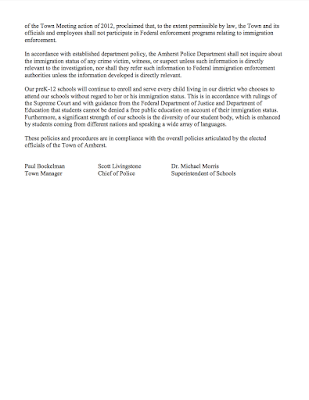 Please click on them to enlarge the font (to the best of our abilities).